Sometimes the simple ideas are the best ones, and they really don’t get much more basic than this. 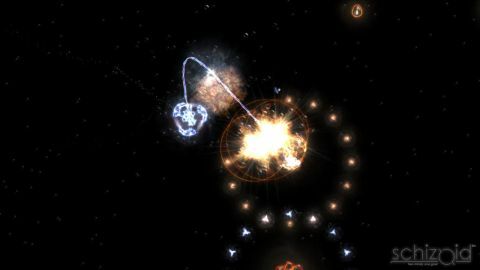 Depending on the difficulty you control either one or two ships with the analogue sticks and must swallow enemies of the same colour while dodging the rest. It’s fun, it’s frantic and, at times, it’s a little bit too tough, but at 800 points you’d be hard pressed to find a better co-op game on Live (apart from N+ that is). Description A co-op action game with a heavy emphasis on teamwork, Schizoid is the first XBLA title developed using XNA Game Studio Express. It's fun, frantic, and maybe a little bit too tough at times.